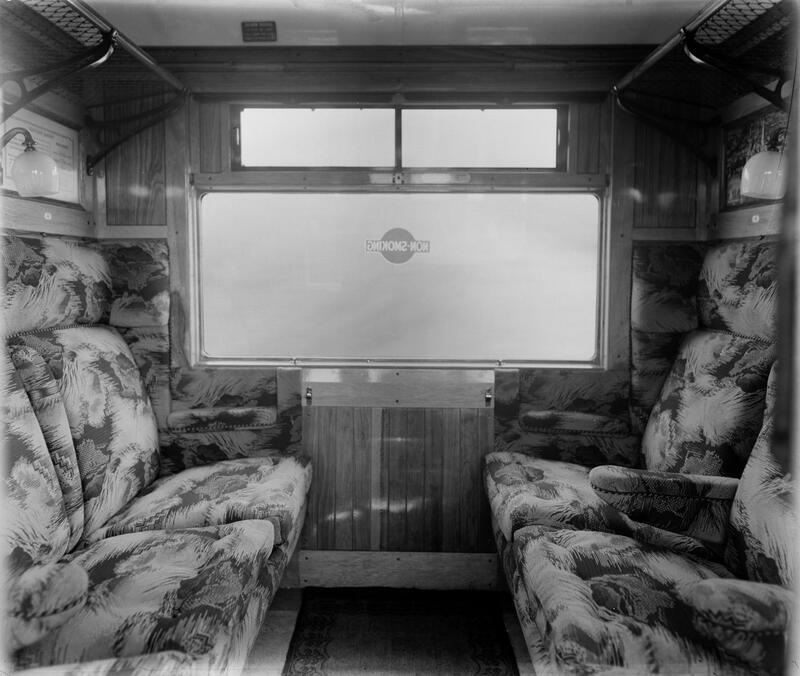 Southern Railway carriage no. 12510, 1st class compartment of buffet car. 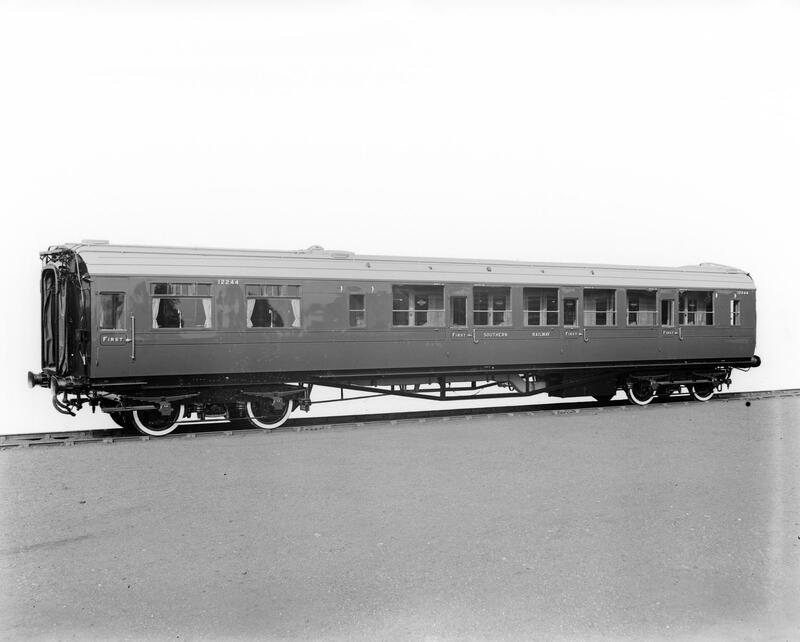 Built at Eastleigh Works. 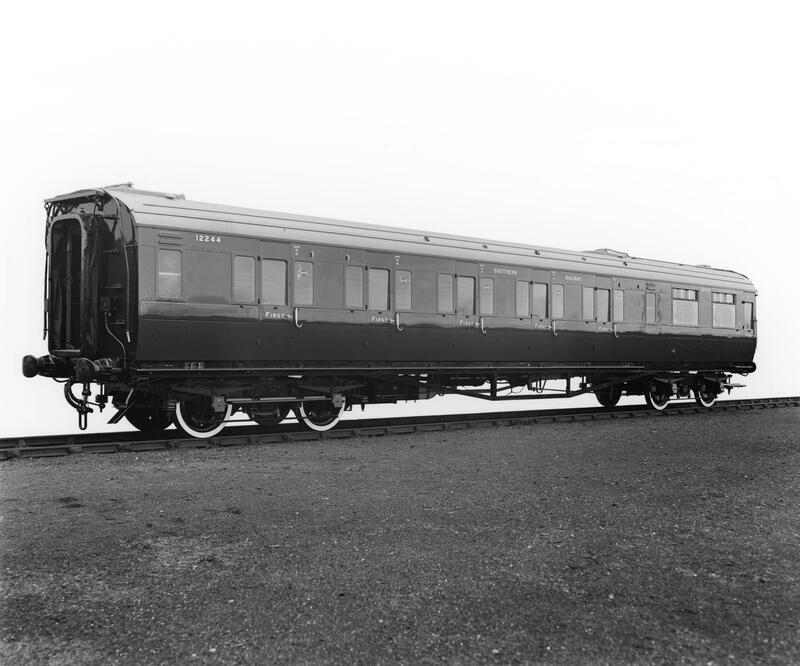 Southern Railway electric multiple unit 4RES carriage set, first class restaurant car no. 12244. Southern Railway electric multiple unit 4BUF carriage set 3080. 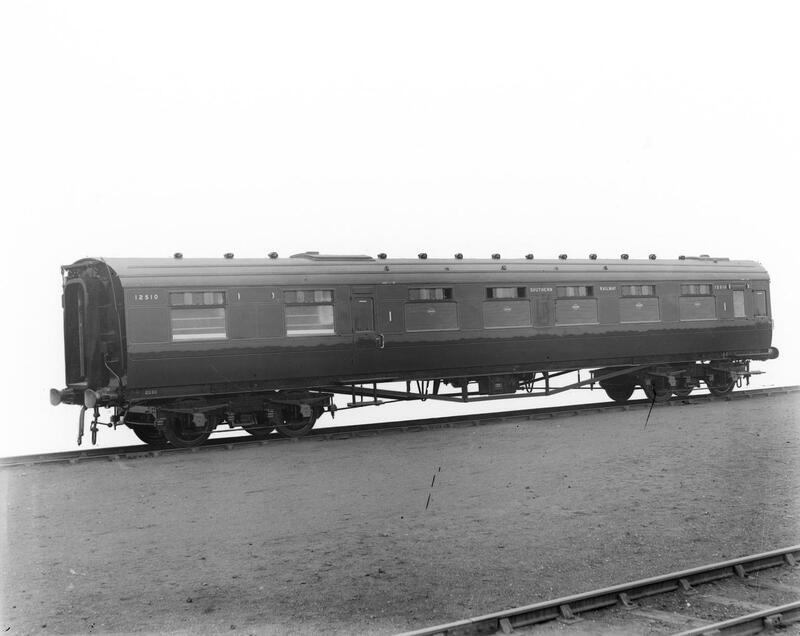 Single buffet car no. 12525. 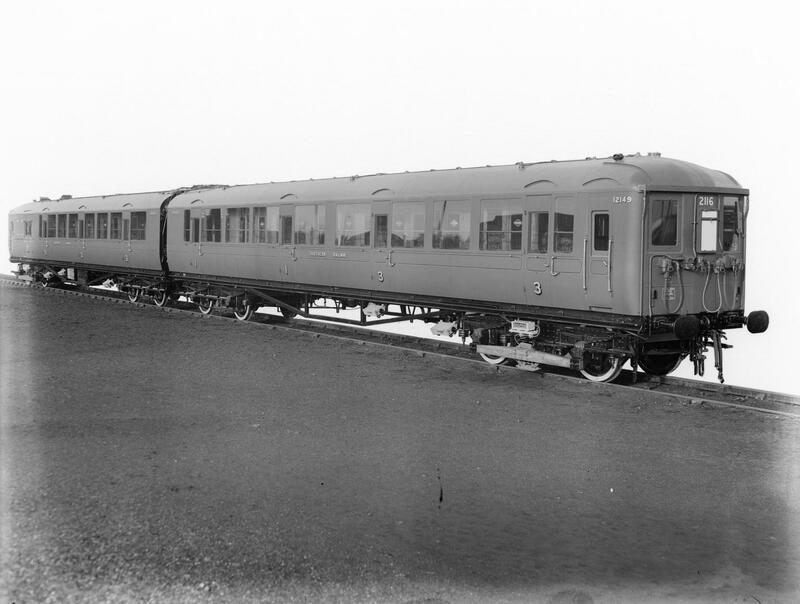 Southern Railway electric multiple unit 2-BIL set, carriage nos. 12149 and 10682. 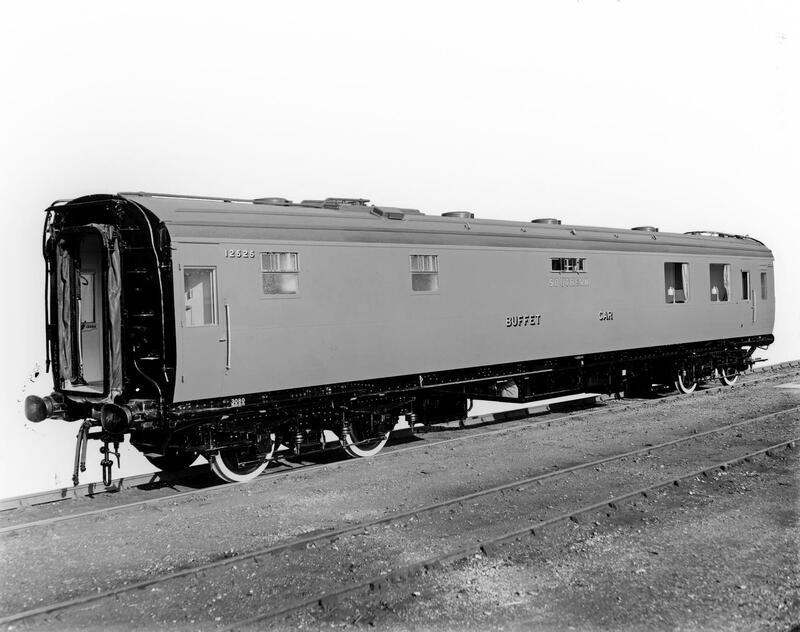 Southern Railway electric multiple unit 2-BIL carriage set, no. 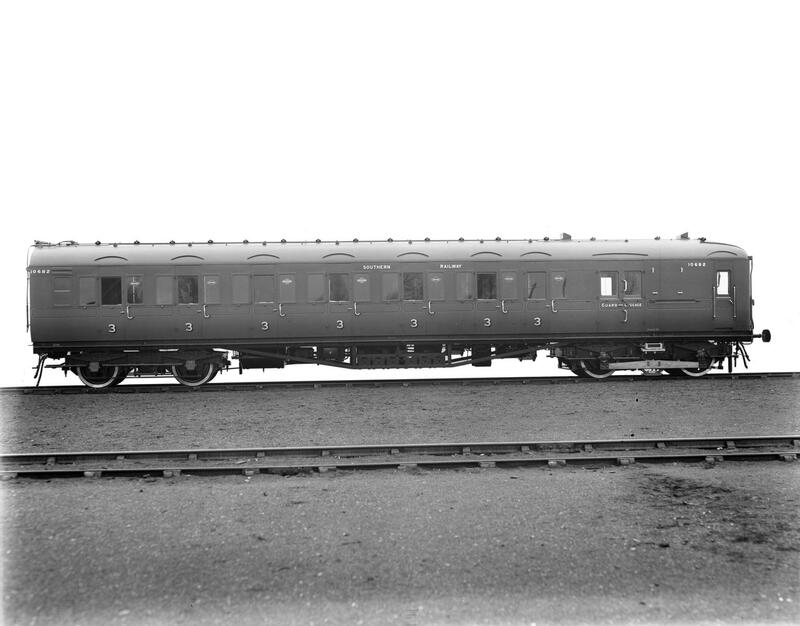 10682 3rd class single coach. 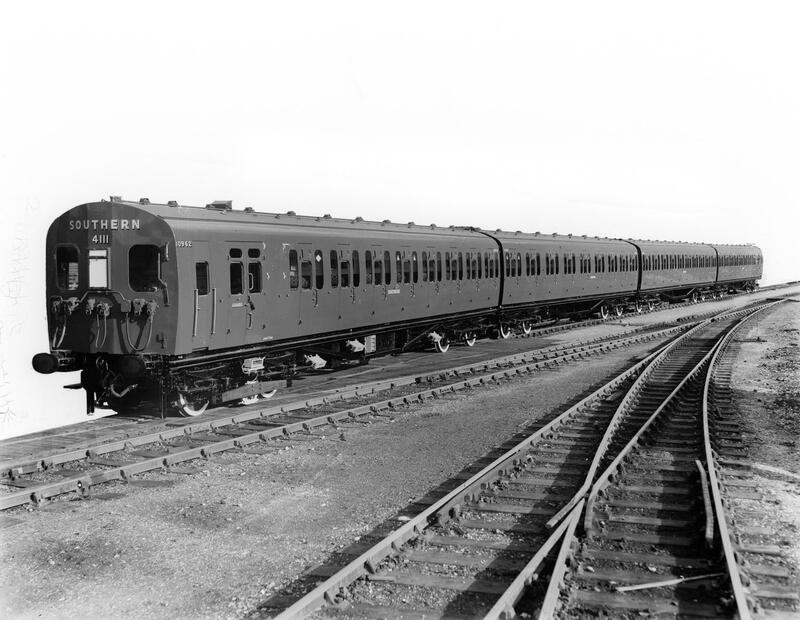 SR EMU four car suburban unit, built at Eastleigh Works 1946. Photographs, a collection of approximately 805 silver gelatin glass negatives, 10 x 8 to 20 x 16 ins from Eastleigh Locomotive Works, featuring locomotives, carriages, wagons and electric motor units of the Southern Railway and London & South Western Railway and locomotives of the London Brighton & South Coast Railway. c 1910 - 1935. 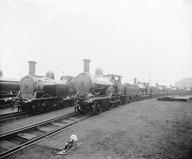 This collection of silver gelatin glass negatives are from Eastleigh Locomotive Works. It covers the period when Eastleigh Works built and repaired vehicles for the London & South Western and Southern Railways. The photographs feature workshop scenes, locomotives, carriages, wagons under construction and on completion, and electric motor units of the Southern Railway and London & South Western Railway and locomotives of the London Brighton & South Coast Railway. There are also photographs of London Brighton & South Coast Railway engines in this collection, presumed to be negatives transferred from Brighton to Eastleigh after Grouping in 1923. In 1891 the London & South Western Railway moved its carriage and wagon works from Nine Elms in London to a spacious new site at Eastleigh in Hampshire. Locomotive production was also transferred to Eastleigh in 1909, and new company housing was built for the 2600 workers employed in locomotive and rolling stock construction and repair. The works built engines to designs by Drummond and Urie, and post-Grouping from 1923 Southern Railway locomotives. During the Second World War London Midland & Scottish Railway type 8F 2-8-0s were built at Eastleigh along with artillery pieces and assault craft. 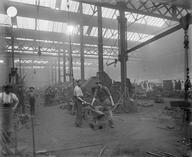 The Carriage Works, meanwhile, constructed ambulance trains, landing craft, and aircraft components.